Reduce or Relieve Your Stress Today! The most popular massage when one wants a massage! Swedish massage is probably the most ubiquitous modality when one thinks of getting massage. But what, exactly, does it mean? How does it differ from other forms of massage? And what are the physical benefits of Swedish massage? One of the key attributes of Swedish is that it addresses the more superficial muscles, connective tissue and joints of the body rather than addressing deeper tissue. This can be more comfortable and relaxing than other modalities while still providing a variety of physical advantages. 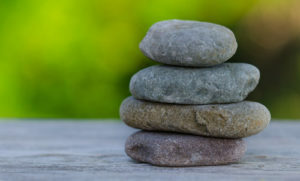 It is important to understand that “relaxation” techniques are an important and functional component of physical health and well-being. You may be more physically comfortable with Swedish massage than, say, Deep Tissue but that in no way lessens the importance of the work on the muscular, nervous and circulatory systems! By stimulating the parasympathetic nervous system, one can move from “fight or flight” to “rest and digest”, which is where recovery happens for the body. If you are unsure as to whether your specific needs call for Swedish massage, one of our talented and dedicated massage therapists will be happy to guide you!